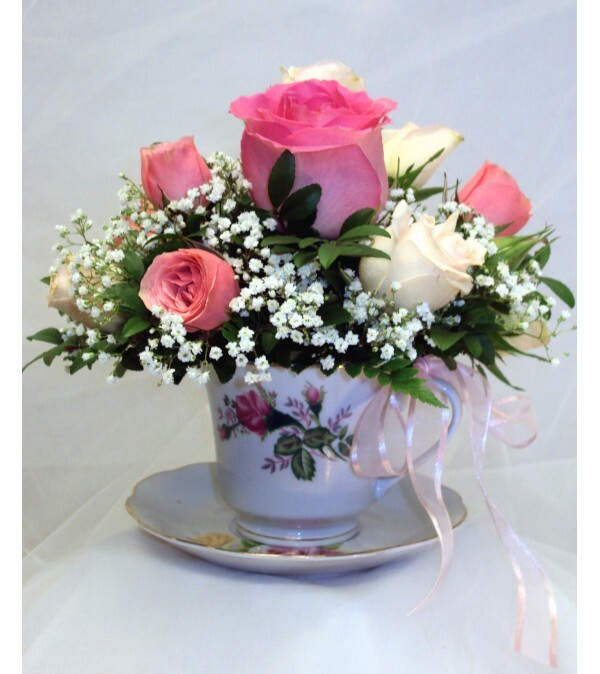 Send warm wishes with this lovely bouquet that arrives in a keepsake ceramic teacup and saucer. 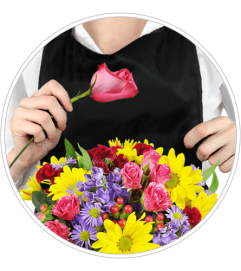 The standard arrangement is a lovely assortment of daisies, mini-carnations and baby's breath. While the deluxe is a charming old-fashioned bouquet of roses, spray roses and baby's breath. 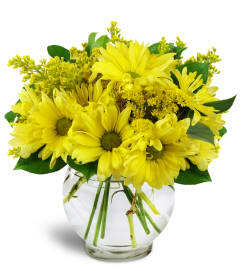 A gift that is sure to always remind them of you again and again.